It’s noble to teach oneself, Mark Twain (Samuel Clemens) once remarked, but still nobler to teach others - and less trouble. Accordingly, here Twain takes it easy on himself and suggests what other people ought to read - and names, in the process, a dozen of his favorite books. 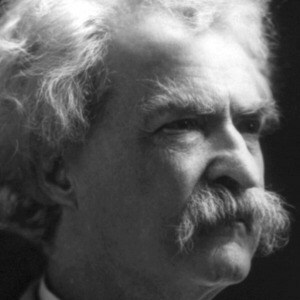 Twain liked to say, truthfully, that his own schooling took place between the ages of 5 and 13, and consisted mostly of his “playing hookey & getting licked for it.” He also liked to say, untruthfully, that he wasn’t a bookish man. But the fact was that Twain was and had been, since boyhood, an avid reader. As much as he teased about education – God, for instance, only created idiots as practice for School Boards - he deeply valued learning. Supposing is good, he wrote in his autobiography, but finding out is better. Autograph Letter Signed (“S.L. Clemens”), 3 pages, octavo, Hartford, January 20, 1887. To the Rev. C. D. Crane. With autograph envelope.